Aristocrats have been vacationing in the Bay of Naples for thousands of years — ever since the ancient Romans escaped the hustle and bustle of their capital. This legendary bay is a great starting point before experiencing the delights of the Amalfi Coast and visiting the chic destinations of Capri and Positano. Heading west, the more remote Mediterranean islands of Ponza and Palmarola lie en route to the dramatic islands of Corsica and Sardinia — one French flavoured, the other unmistakably Italian. Each of these renowned islands has a multitude of small fishing villages and protected, tranquil anchorages not accessible by land and ideal for enjoying water sports. A visit to the Maddalena archipelago on the northeast coast of Sardinia and a stop near stunning Cala di Volpe precedes disembarkation in fashionable Porto Cervo. 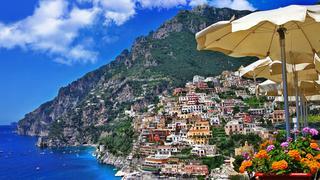 Day 1: Naples and Capri Your journey will begin in Italy’s third largest city, Naples, located at the foot of Mt. Vesuvius. Just 6km from Naples International airport lies the Sannazzaro Marina from where you will set sail for the Marina Grande on the Isle of Capri. Whether you choose to dine on board or on shore, the marina is just a short stroll from the winding streets full of high class shops and boutiques. The Piazzetta is the centre of attraction for the many international jet setters who visit the island every year. Aristocrats have been vacationing in the Bay of Naples for thousands of years — ever since the ancient Romans escaped the hustle and bustle of their capital. This legendary bay is a great starting point before experiencing the delights of the Amalfi Coast and visiting the chic destinations of Capri and Positano. Heading west, the more remote Mediterranean islands of Ponza and Palmarola lie en route to the dramatic islands of Corsica and Sardinia — one French flavoured, the other unmistakably Italian. Each of these renowned islands has a multitude of small fishing villages and protected, tranquil anchorages not accessible by land and ideal for enjoying water sports. A visit to the Maddalena archipelago on the northeast coast of Sardinia and a stop near stunning Cala di Volpe precedes disembarkation in fashionable Porto Cervo. Your journey will begin in Italy’s third largest city, Naples, located at the foot of Mt. Vesuvius. Just 6km from Naples International airport lies the Sannazzaro Marina from where you will set sail for the Marina Grande on the Isle of Capri. Whether you choose to dine on board or on shore, the marina is just a short stroll from the winding streets full of high class shops and boutiques. The Piazzetta is the centre of attraction for the many international jet setters who visit the island every year. Cruising around Capri, the benefits of travel by yacht are apparent: you’ll be able to visit parts of the island inaccessible by other means. Discover the Grotta Bianca, the Natural Arch, the Faraglioni rocks, and the bay of Marina Piccola. A short one-hour hop back towards the mainland brings you to Positano, known as “The Gem of the Divine Coast.” Positano rises up vertically from the sea following the steep incline of the mountains. This may be the only place in the world where the panoramic view of the town is more beautiful than the sea scape behind you (and yet another reason why a yacht is the best way to appreciate this coastline…) Spend the afternoon relaxing on the sun deck or try out the yacht’s water toys. You may choose to dine alfresco and enjoy the breathtaking views, or head ashore and eat at one of Positano’s many fine restaurants. While you sleep your yacht will be steaming towards the remote islands of Italy’s Pontine Archipelago, and you will awake at anchor between Palmarola and Ponza. Cruising around Capri, the benefits of travel by yacht are apparent: you’ll be able to visit parts of the island inaccessible by other means. 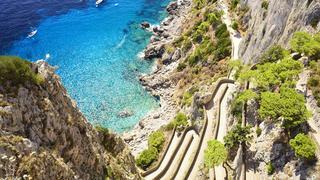 Discover the Grotta Bianca, the Natural Arch, the Faraglioni rocks, and the bay of Marina Piccola. A short one-hour hop back towards the mainland brings you to Positano, known as “The Gem of the Divine Coast.” Positano rises up vertically from the sea following the steep incline of the mountains. This may be the only place in the world where the panoramic view of the town is more beautiful than the sea scape behind you (and yet another reason why a yacht is the best way to appreciate this coastline…) Spend the afternoon relaxing on the sun deck or try out the yacht’s water toys. You may choose to dine alfresco and enjoy the breathtaking views, or head ashore and eat at one of Positano’s many fine restaurants. While you sleep your yacht will be steaming towards the remote islands of Italy’s Pontine Archipelago, and you will awake at anchor between Palmarola and Ponza. Palmarolais one of the most charming islands in the Mediterranean. Enjoy a leisurely cruise through the island’s transparent blue waters while admiring its ruggedly handsome coastline dotted with grottoes, bays and cliffs. The shallow crystal clear waters of Palmarola’s south are a bather’s paradise and the perfect place to stop for lunch. This is a wonderful area for snorkelling and exploring caves. If time allows, a visit to Ponza, the largest island of Italy’s Pontine Archipelago, is well worth the trip. Encircled by dramatic coves and cliffs, the main town with its colourful houses and is thought of by many visitors as a less-spoilt version of Capri. The island’s main settlement is Ponza Porto, around the harbour. Compared to some Italian islands, there aren’t many tourist sites or monuments on Ponza, but there are some excellent restaurants as well as a few options for late-night drinking and dancing. Overnight the yacht will cruise to Bonifacio in Corsica. Palmarolais one of the most charming islands in the Mediterranean. Enjoy a leisurely cruise through the island’s transparent blue waters while admiring its ruggedly handsome coastline dotted with grottoes, bays and cliffs. 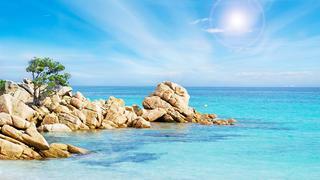 The shallow crystal clear waters of Palmarola’s south are a bather’s paradise and the perfect place to stop for lunch. This is a wonderful area for snorkelling and exploring caves. If time allows, a visit to Ponza, the largest island of Italy’s Pontine Archipelago, is well worth the trip. Encircled by dramatic coves and cliffs, the main town with its colourful houses and is thought of by many visitors as a less-spoilt version of Capri. The island’s main settlement is Ponza Porto, around the harbour. 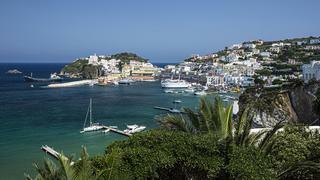 Compared to some Italian islands, there aren’t many tourist sites or monuments on Ponza, but there are some excellent restaurants as well as a few options for late-night drinking and dancing. 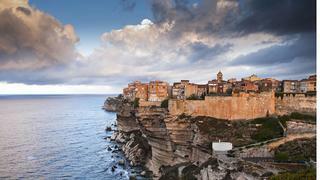 Overnight the yacht will cruise to Bonifacio in Corsica. By morning, you will have arrived at the southernmost tip of the French Island of Corsica, at Bonifacio — also known as “the City of the Cliffs.” Spend a relaxing afternoon meandering through the mediaeval lanes, touring the walled fortress, or strolling along the bluff high above the harbour. On the tip of the promontory you’ll find the marine cemetery and windmills that date back to the 12th century — but best of all is the view stretching right across the straits to Sardinia. By morning, you will have arrived at the southernmost tip of the French Island of Corsica, at Bonifacio — also known as “the City of the Cliffs.” Spend a relaxing afternoon meandering through the mediaeval lanes, touring the walled fortress, or strolling along the bluff high above the harbour. On the tip of the promontory you’ll find the marine cemetery and windmills that date back to the 12th century — but best of all is the view stretching right across the straits to Sardinia. First thing in the morning you’ll depart for a quiet sail to the Maddalena Archipelago on the northeast coast of Sardinia — an idyllic and largely uninhabited national park that includes the islands of Maddalena, Caprera, Santo Stefano, Spargi, Budelli, Santa Maria and Razzoli. This natural haven has many secluded coves and some of best hidden beaches in the Mediterranean so you can enjoy exclusive access to the popular Maddalena Archipelago away from the daytripper crowds. First thing in the morning you’ll depart for a quiet sail to the Maddalena Archipelago on the northeast coast of Sardinia — an idyllic and largely uninhabited national park that includes the islands of Maddalena, Caprera, Santo Stefano, Spargi, Budelli, Santa Maria and Razzoli. This natural haven has many secluded coves and some of best hidden beaches in the Mediterranean so you can enjoy exclusive access to the popular Maddalena Archipelago away from the daytripper crowds. A short morning’s cruise will take you past the numerous islets and inlets of the lovely Costa Smeralda en route to the beautiful Cala di Volpe. Here you can while away the day and evening in the lovely protected bay surrounded by gorgeous sandy beaches. It’s a perfect spot for waterskiing, snorkelling or taking the Jet Skis for a spin, so it’s very popular in July and August. 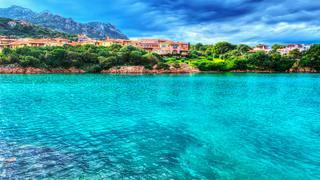 By night, the line of picturesque beaches along Cala di Volpe provides a stunning backdrop to the evening’s anchorage. A short morning’s cruise will take you past the numerous islets and inlets of the lovely Costa Smeralda en route to the beautiful Cala di Volpe. Here you can while away the day and evening in the lovely protected bay surrounded by gorgeous sandy beaches. It’s a perfect spot for waterskiing, snorkelling or taking the Jet Skis for a spin, so it’s very popular in July and August. By night, the line of picturesque beaches along Cala di Volpe provides a stunning backdrop to the evening’s anchorage. On the final day you’ll continue cruising Sardinia’s rugged Costa Smeralda coast to reach the final destination, the fashionable Porto Cervo. Porto Cervo, has been developed from a Sardinian fishing village into one of the most exclusive and popular holiday destinations of royalty and rock stars alike. 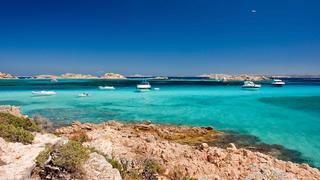 Porto Cervo and also draws an impressive fleet of superyachts for the Loro Piana Superyacht Regatta every June.